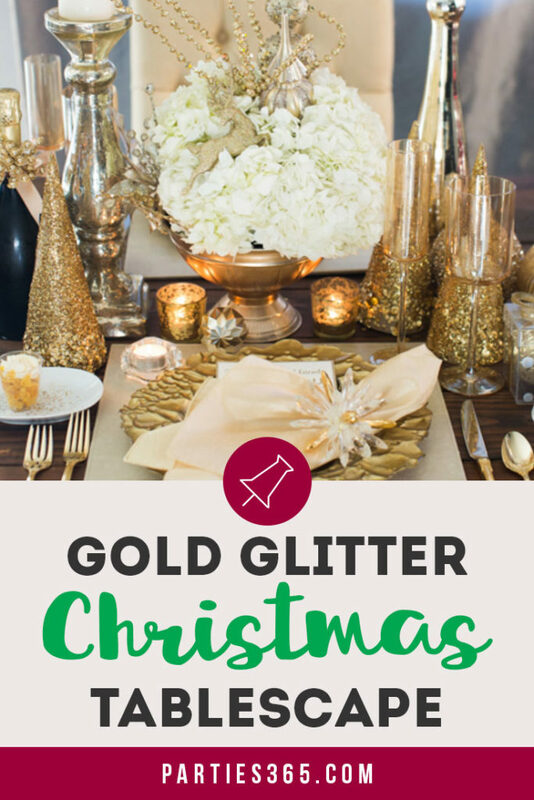 Metallics and glitter naturally go hand-in-hand for Christmas decor, don’t they? 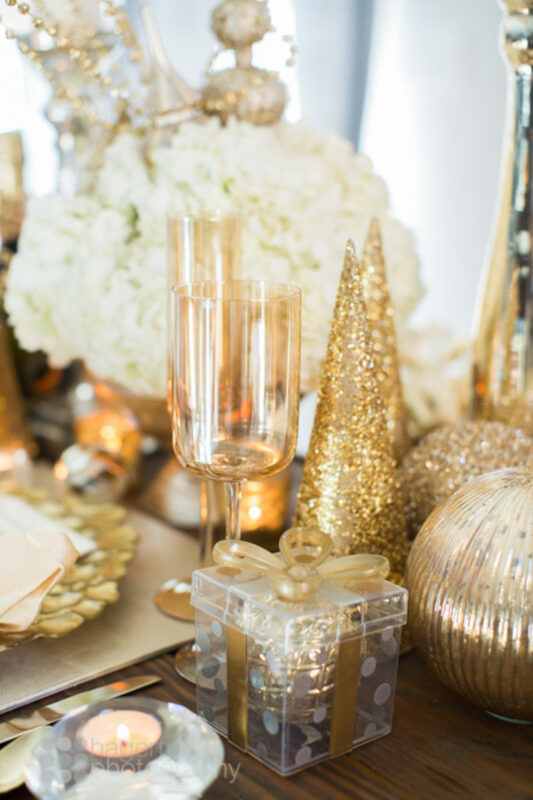 The holidays are a festive, sparkly time of year and that’s why we absolutely love the inspiration we gathered from this glistening Gold Glitter Christmas Tablescape designed by Tasha Miller of Meant2Be Events. 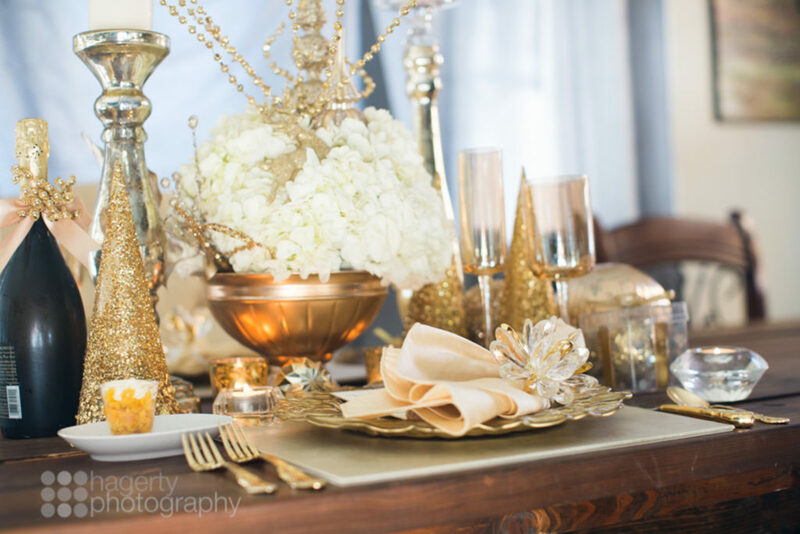 This chic holiday table setting, complete with gold chargers, glassware and flatware, combined with dazzling ivory candles, plates and flowers is sure to spark some creative ideas as you set your Christmas Table. This festive Christmas tables setting begins with a simple square light gold placemat, topped with an intricate gold charger plate that adds interest and texture to the table. The matching linen napkin is held with a beautiful gold and glass napkin ring that resembles a delicate snowflake. 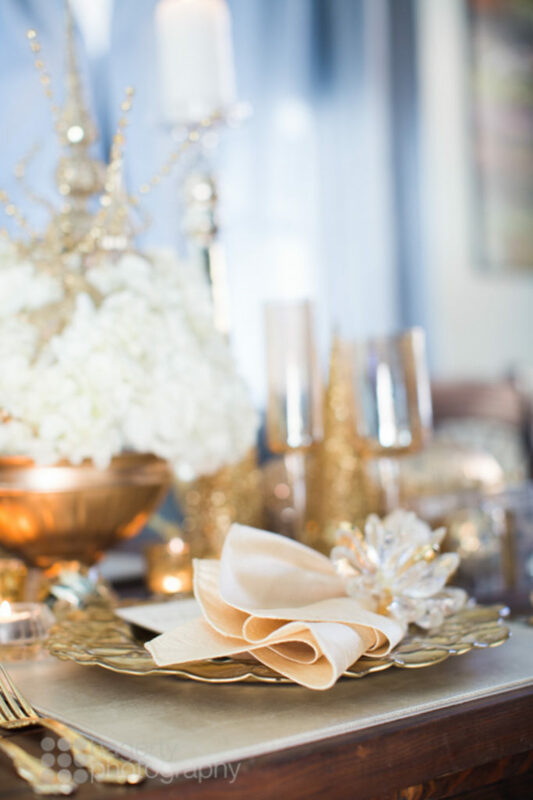 If you’re recreating this look at home, we found these sparkly gold, rhinestone and pearl snowflake napkin rings and these simple gold snowflake napkin rings that would both look stunning on a similar Christmas table. I love the idea of adding a personal Christmas Thank You card to each place setting as well. Be in Love Designs created the lovely card seen on this table. 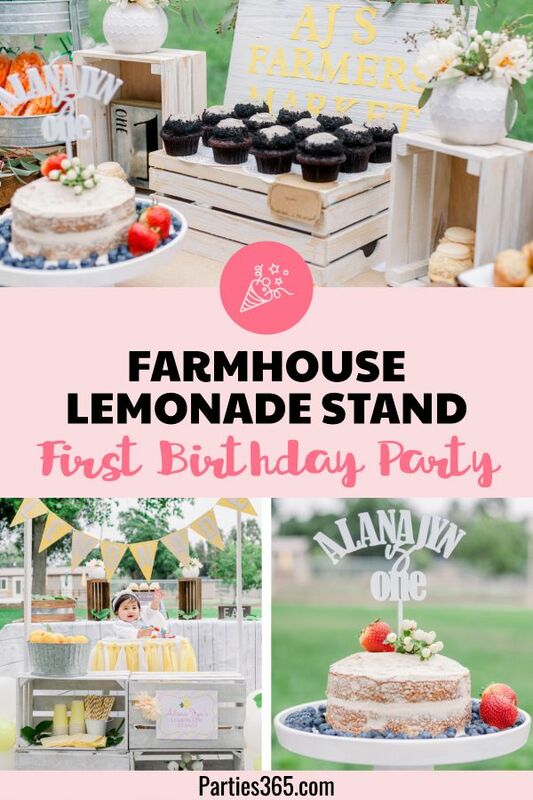 It offers the perfect opportunity to remind your friends and family of how much you value their friendship and presence in your life and sets the perfect tone for a year end dinner celebration. 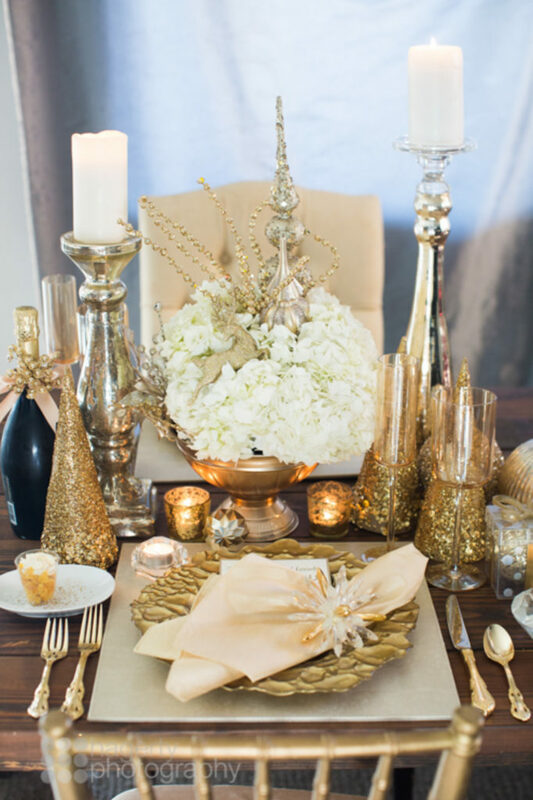 This glamorous Christmas Table Setting also features gold silverware and glassware. If you don’t already have gold silverware, we love this modern, matte gold set of silverware and this stunning set of gold silverware we found at Target. Either set would be perfect for your gold holiday table. 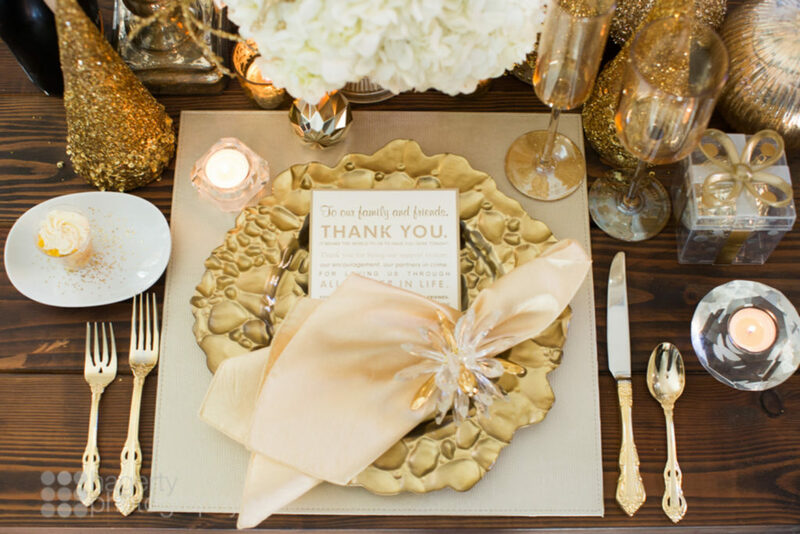 The sparkling champagne gold glassware at this table setting is just perfect for capturing the candlelight. Although not a match to what’s seen on this table, this set of six stemless, gold wine glasses – or if you prefer a stem – these matching gold wine glasses would look beautiful on your table as well. 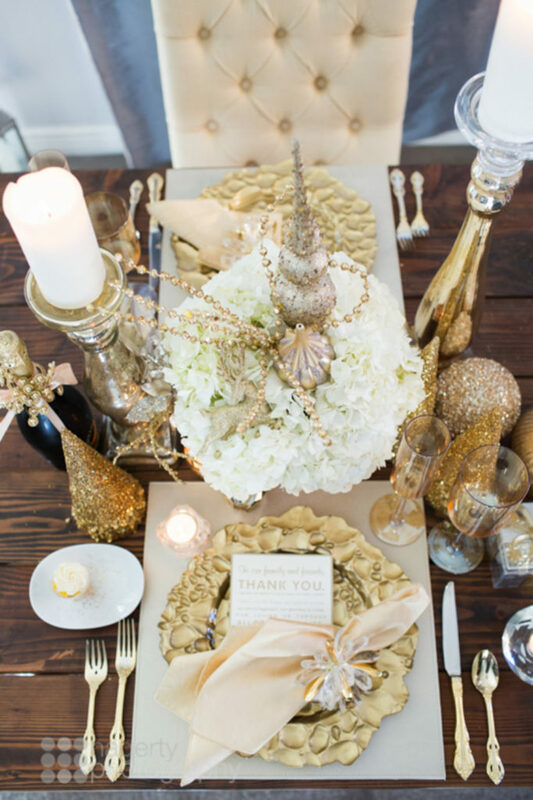 One of the details that makes this tablescape so festive is the gold glitter Christmas trees. I’ve seen similar trees in Hobby Lobby and I also found a set of three gorgeous champagne gold sequined Christmas trees online. The table comes to life with all the candle holders as well. 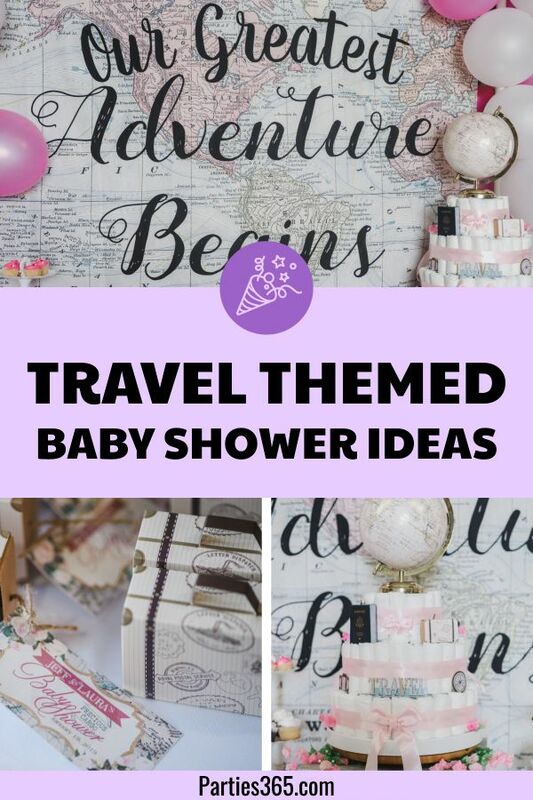 There are small crystal tea light holders, gold mercury glass candle holders and tall silver mercury glass pillars holding the ivory candles to add some height to the table. 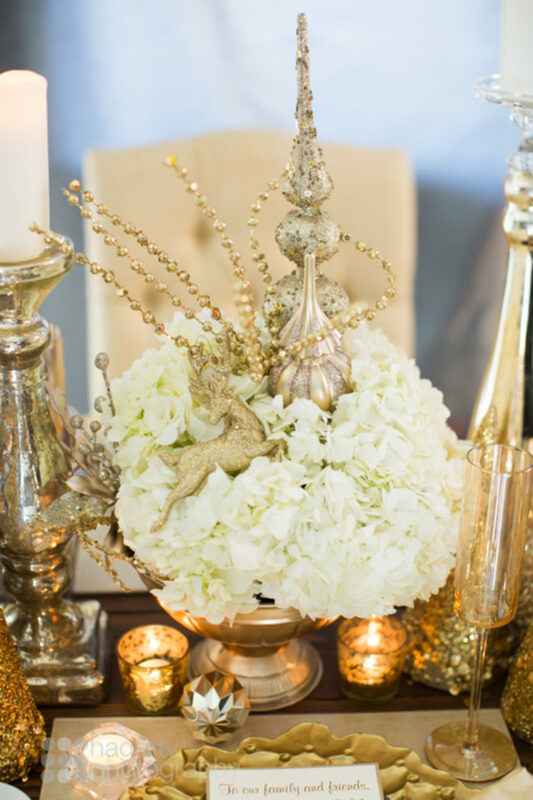 The stunning centerpiece, created by Kate Ryan Design, features big white hydrangeas in a gold vase with a glittery gold reindeer, jumping through the flowers. She also added in some gold Christmas ornaments, which would be a simple and elegant way to dress up a store bought bouquet on your own. When you host a formal or holiday dinner, it’s always nice to include a special favor so guests have something to take home. 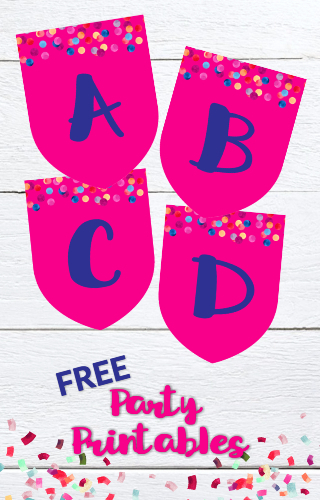 The perfect favor for a Christmas party is a keepsake ornament! I love that the beautiful snowflake ornament here was wrapped around a bottle of champagne (another great favor idea this time of year)! You may even consider doing a personalized ornament with your guest’s name or the year or your event like on these custom snowflake ornaments. This tablescape features an alternative way to display ornament favors as well: in a small box shaped like a present! 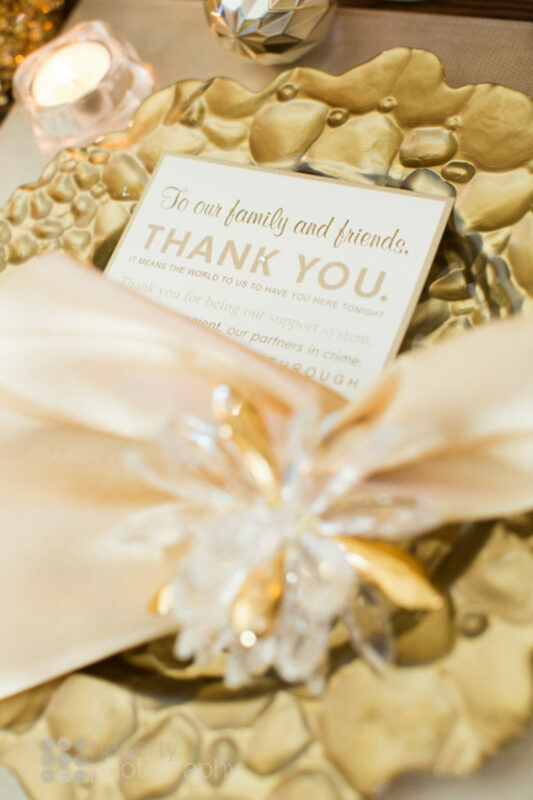 This polka dot box with gold bow is an ideal compliment to the table decor and a sweet way to show your appreciation for your guests’ presence at your dinner party. 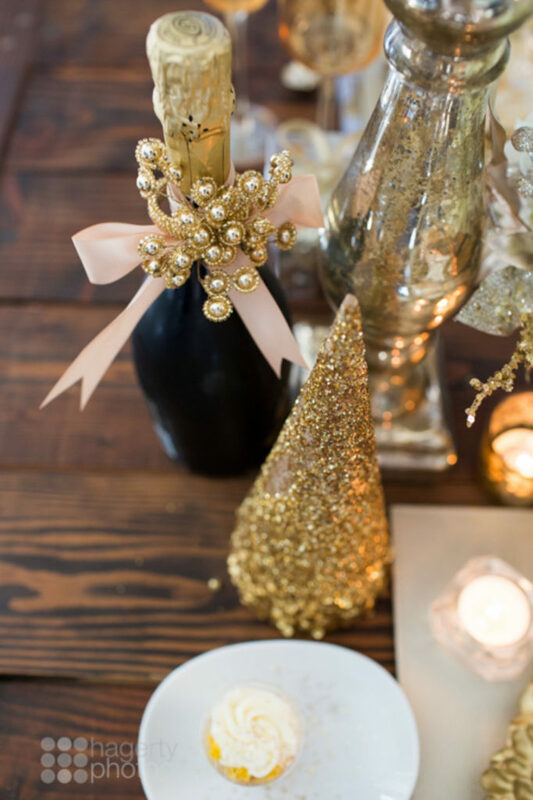 Were you inspired by this glittery gold Christmas Tablescape? Be sure to check out our Candy Cane Christmas Tablescape for decoration ideas as well as our round up of Christmas Party Supplies for your next holiday party!